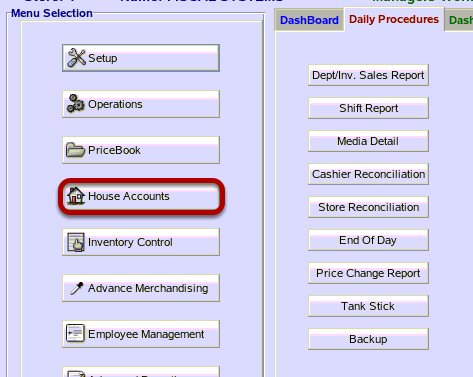 TravStar1 Point Of Sale SystemManager's Work Station House Account ManagementHow Do I Look Up House Account Transaction Details? How Do I Look Up House Account Transaction Details? From the main menu, click on the "House Accounts" button. From the House Accounts menu, click on the "Account Inquiry" button. 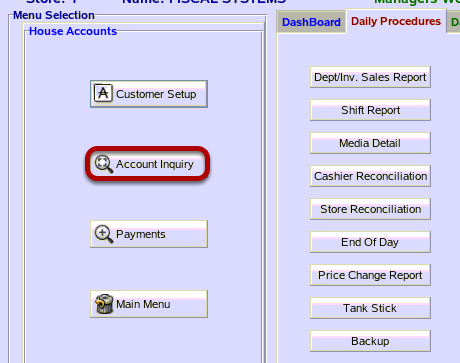 The Account Inquiry screen allows you to see details of an account's charges, payments, adjustments, etc. (1) You the Lookup menu to find and select House Account. 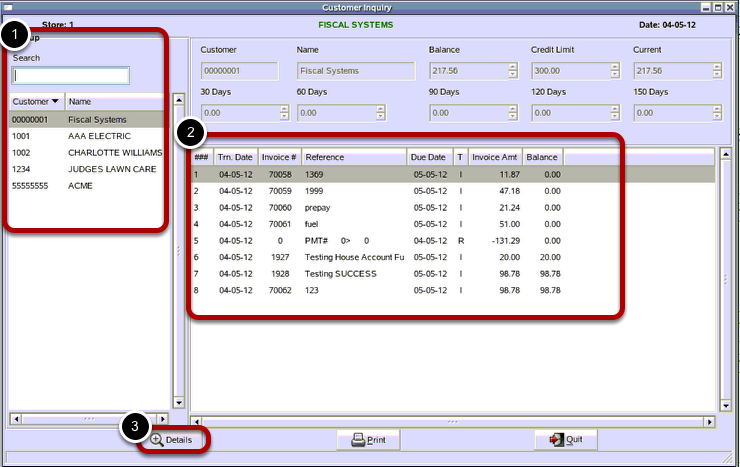 (2) Click on the transaction you want to view in detail. (3) Click on the "Details" button. 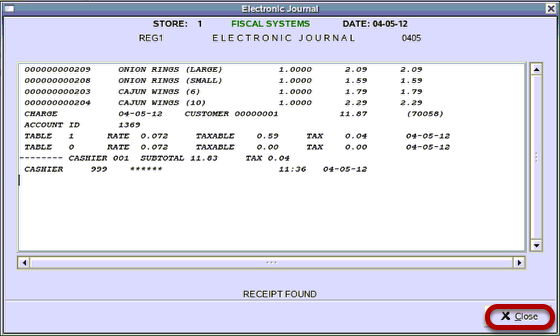 The electronic journal screen shows detailed transaction information. Click on the "Close" button once you are finished viewing the details. 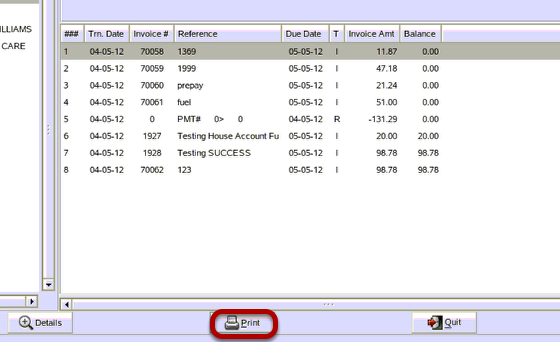 If you would like to print transaction, click on the "Print" button. From the Select Options screen, click to view the report online or to print the report. If you select the online viewer you will still be able to print the report. Then click on the "OK" button. Above is an example of the Report. Prev: How Do I Setup a Fuel Discount for House Accounts? Next: How Do I Make a Payment on a House Account?